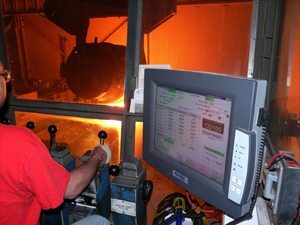 Manufacturing operations in steel industry have too complex processes. This industry utilises a specific application to coordinate one process to another. That is why the role of automation plays an important factor in the industry as well. Now, automation can only work on advanced computers. With these 12.1” industrial-grade panel PCs, you can integrate automation. Then, you can start controlling the steel manufacturing operations. Technology and innovation playan important role in the steel manufacturing industry. Despite its harsh working environment, choosing the right control system is essential. We recommend that the best computing system must be in place for this industry. Why not opt for panel PCs on the manufacturing operations? This Intel-based touch panel computers have an IP69K rated rugged enclosure. It means that it can withstand a wider temperature range like steel manufacturing. But, what makes it different from other panel computer products? Which Is Better: S12 or S10 Rugged Panel PC? In fact, there are a lot of manufacturers providing the best products for their clients. You may be uncertain whether these claims can be real or not. Unless, you make a comparison. Here is a quick look of the products’ specifications below. Intel-based computer, which means compatible for tough applications Huge investment may be required. IP65 / IP68 / IP69K; NEMA sealed, which means resistant from dust, moist, shock, liquid spill overs, or any fallen debris The user needs to tie up with the manufacturer. Built in Watchdog. It can monitor and control the operations. Now, let’s wrap it all up. Upon looking into each chart, you can determine which offers the most. Yes, both of these products do have similar specifications. But, improving your manufacturing operations requires 12.1” embedded touch panels for efficiency. As a final point, the S12 embedded touch panel is best fit for any industry. Exceptional quality. Long-term availability. And reliable manufacturer’s support. These qualities are amongst that you are looking for in a product. By choosing our long life industrial computers, you can ensure that it does only ends there. As you choose our product, we offer technical support and maintenance to the device as well.